This is Gamindustri. Beings called the Goddesses rule the countries of this unreal world. 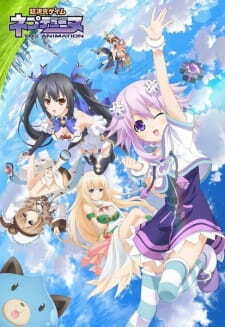 The four Goddesses govern four states: Planeptune, Lastation, Lowee, and Leanbox. For many long years, these countries fought each other over the Shares, the source of the Goddess power. However, fearful that the conflict would pointlessly erode their countries’ strength, the Goddesses signed a Friendship Treaty forbidding them from taking Shares by force. Under the treaty, the Goddesses and their younger sisters took a step forward to a new stage in their relations. It was the dawn of a new, dynamic era marked occasionally by shared laughter, disputes as well cooperation. What does the future hold in store for Gamindustri?